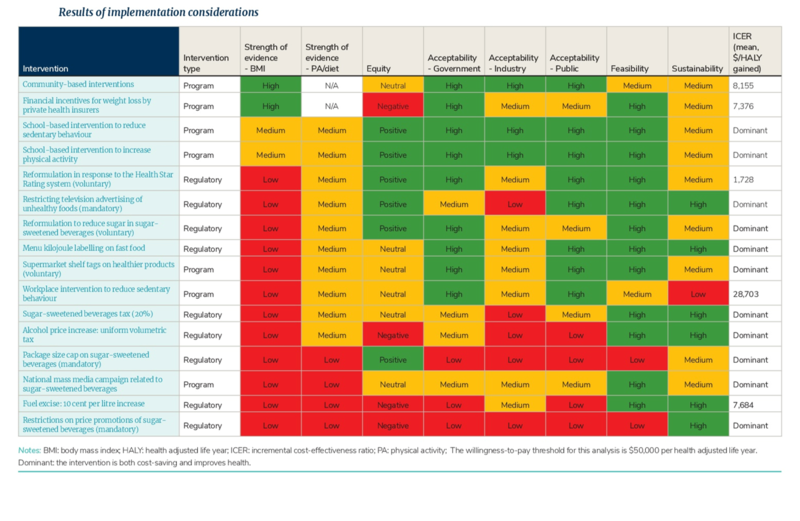 Cost-effectiveness analyses were undertaken of 16 obesity prevention policies across a range of sectors/settings. 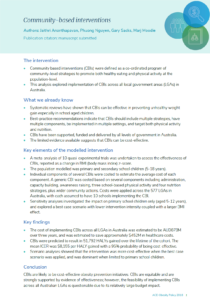 The results from each of the sixteen interventions are presented in four-page summary intervention reports. These reports are designed to provide an overview of each intervention. 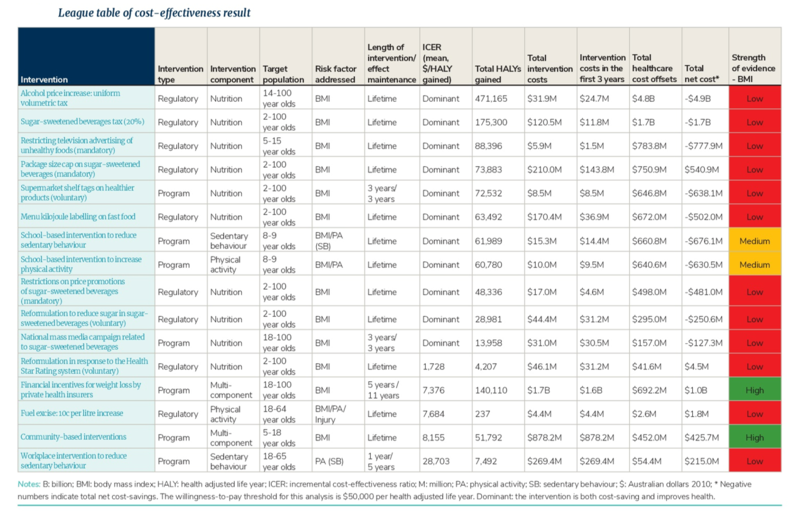 Results from the cost-effectiveness analyses are presented in a league table ranked by incremental cost-effectiveness ratios in order from the most to the least cost-effective interventions.